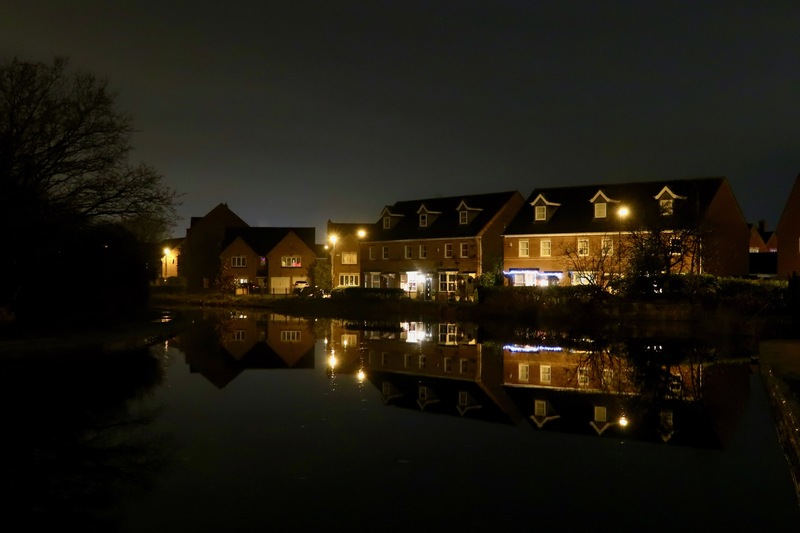 December 17th – Returning home through a darkened, very wet Brownhills. A generator was quietly ticking over by the waterside, and there was the clatter of Tesco unloading, and the distant windy sweep of the odd car on the High Street, but little other evidence of humans. Brownhills looked somnambulant, peaceful and homely, and it was good to see.